Bharatiya Vidya Bhavan (BVB) secured first place in the 5th Season of Lions Quest-2017, Inter-School Quiz Competition, held at Mysore West Lions Sevaniketan School recently. St. Joseph’s Central School, Vijayanagar, secured second place in the contest. 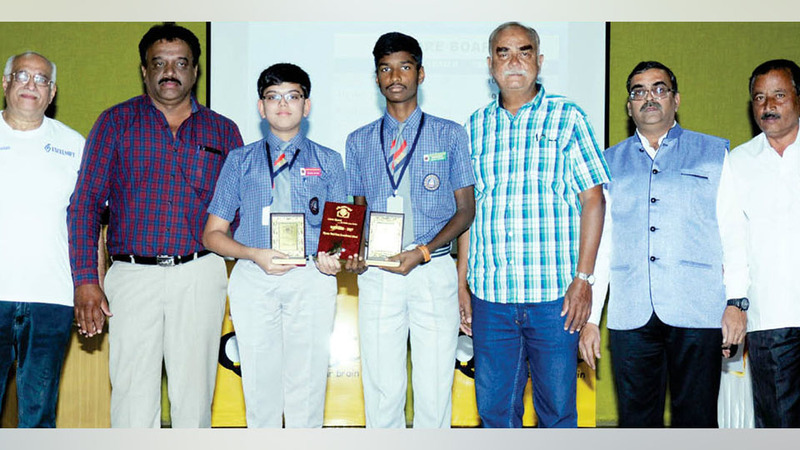 The first prize winners (BVB students) are seen with Mysore West Lions Sevaniketan School Secretary Ln. R. Sukumar, Club President Ln. Jacob Thomas Paul, Mysore West Lions Sevaniketan School President Ln. Manoj Kumar, Principal Sivakumar and Administrator Thrinesh.